The sell-off began early in the session after Libya's National Oil Company said it would reopen ports which had been closed since late June. "The headline on Libya was merely the trigger," said John Saucer, a vice president at advisory firm Mobius Risk Group. The sell-off intensified after news of a fall in U.S. crude oil inventories failed to reverse market sentiment. "The scope of today's sell-off is unequivocally a speculative washout," said Saucer. Hedge funds and other money managers with bullish wagers appeared to pare long positions, pulling back from positions added as crude approached three and a half year highs last month, Saucer said. The selling pressure intensified as trade tensions between the U.S. and China raised concerns about demand. The specter of tariffs on a further $200 billion of Chinese goods sent commodities lower, along with stock markets, as tension between the world's biggest economies intensified. "Escalating trade tensions between the U.S. and China has prompted risk aversion in today's trading session, which is evident in oil prices," said Abhishek Kumar, senior energy analyst at Interfax Energy. Crude oil prices also fell as the U.S. dollar rose on Wednesday's surprisingly strong U.S. inflation report, which increased prospects the Federal Reserve will raise interest rates twice more this year. A stronger dollar can weaken dollar-denominated commodities, like crude. "Trade concerns have bitten today," said Michael McCarthy, chief markets strategist at CMC Markets. "If these tariffs are introduced, there will be an impact on global growth and demand." China is a top buyer of U.S. crude, and has said it could tax U.S. oil if trade tensions escalate. Tripoli-based Libya National Oil Corp said on Wednesday four export terminals were being reopened after eastern factions handed over the ports, ending a standoff that had shut down most of Libya's oil output. "Libyan relief changes the conversation about spare capacity," said John Kilduff, a partner at Again Capital Management. Concerns about a lack of spare capacity had led crude to rally. Prospects of U.S. sanctions on crude exports from Iran, the world's fifth-biggest oil producer, has helped push oil prices up in recent weeks, with both crude contracts trading near 3-1/2-year highs until Wednesday. 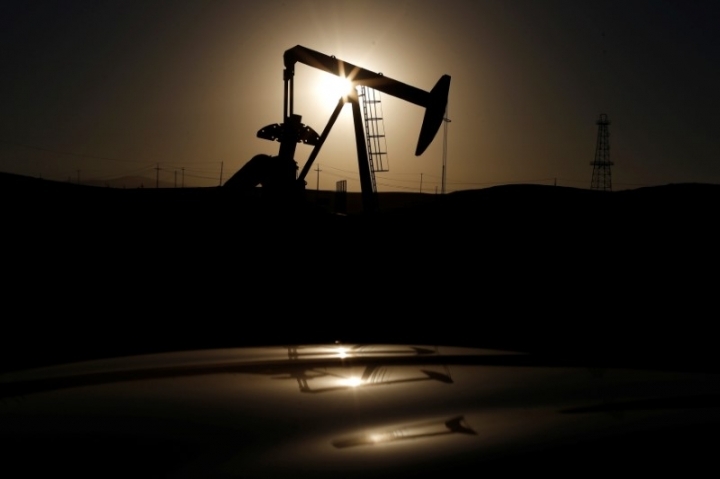 The market shrugged off bullish U.S. government data showing crude stockpiles slumped by nearly 13 million barrels last week, the biggest slide in nearly two years. [EIA/S] Supply to the U.S. market has also been squeezed by the loss of some Canadian oil production. "In spite of the extraordinary draw in crude oil inventories, the market is under pressure after refiners produced a record amount of gasoline this week and in conjunction with a greater than expected build in distillate inventories," said Andrew Lipow, president at Lipow Oil Associates in Houston. During the session, CME Group said a technical issue impacted connectivity for some customers. "Our markets remain open while we work directly with customers to resolve the issue,” a CME spokesman said in an emailed statement.